Why is menopause treated like a disease? Menopause is a natural, physiological cycle that occurs in all women. Western medical treatments only address the symptoms associated with menopause. Chinese medicine recognizes that the typical symptoms of menopause are merely signs of a deep imbalance within the body. Acupuncture corrects underlying imbalances. If these imbalances are not corrected, they will result in typical signs and symptoms of menopause. graying hair, loss of libido, weakness of knees, urinary difficulty, poor memory, backache, fatigue, hot flashes, night sweats, heart palpitations, insomnia, and mood swings. After determining which system is unbalanced various therapies such as acupuncture, qi gong, meditation and diet can be used to correct the imbalance. 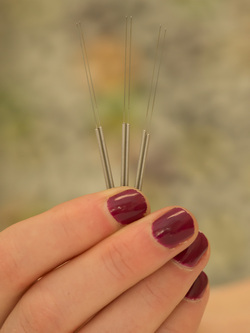 Since acupuncture is completely safe and natural, there is no need to worry about the side effects of hormone therapy and other western medical treatments.